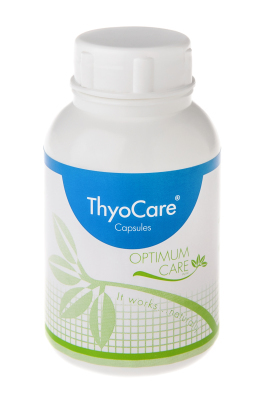 ThyoCare was designed to assist you with your day to day stress, help boost your energy levels, control weight changes and promote general health. 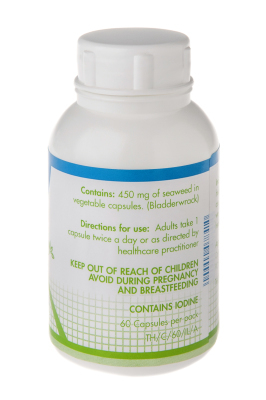 Thyocare contains Bladderwrack (formal name Fucus Vesiculosis) a brown seaweed which is a good source of iodine but also of various L-fucose compounds. When taken in the recommended standardized dose under medical supervision it is an excellent general mineral supplement and tonic herb which supports thyroid hormone syntheses. Bladderwrack is rich in calcium, magnesium, potassium, sodium, sulphur, silicon and iron and high in some B-complex vitamins. It contains moderate amounts of phosphorus, selenium, manganese and zinc and small amounts of vitamins A, C, E, G and vitamin K. It is rich in algin and mannitol, carotene and zeaxantin with traces of bromine. L-fucose compounds in bladderwrack can be seen as generally being anti-obesity, anti-inflammatory, anti-oxidant, and anti-carcinogenic. These compound found in bladderwrack are many of the nutrients needed to supports thyroid hormone synthesis.